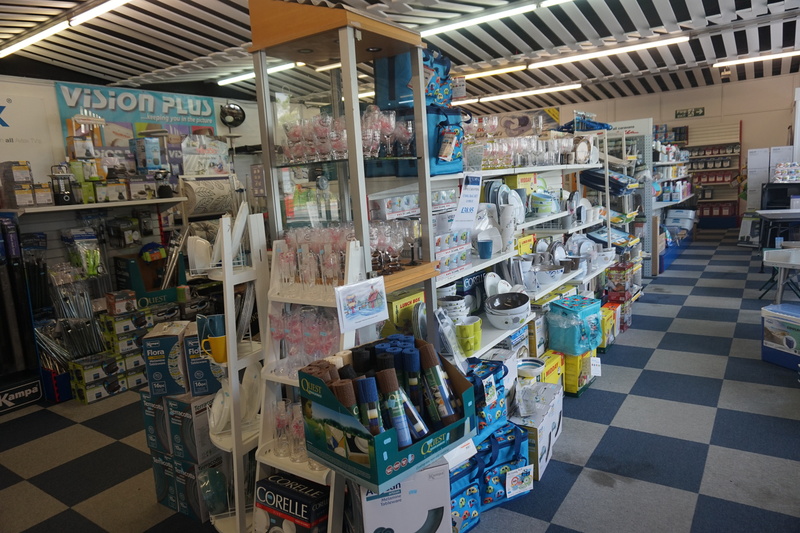 At Preston Caravans and Motorhomes we have a dedicated store with all the motorhome and caravan accessories you could ever need whilst out touring. We all ways offer competitive prices on all our products and our knowledgeable staff are always ready to help and advise. With our ability to advise and even source equipment and parts on your behalf, our considerate and passionate staff are experts in finding the solutions to your touring ideas, queries and dilemmas. Our staff have great product knowledge of almost every item you could every need when going away on holiday. Whether you’re a first time buyer and need advice on the essential equipment or an experienced owner with a technical question on one of your caravan accessories, make our accessories and aftersales team your first port of call. 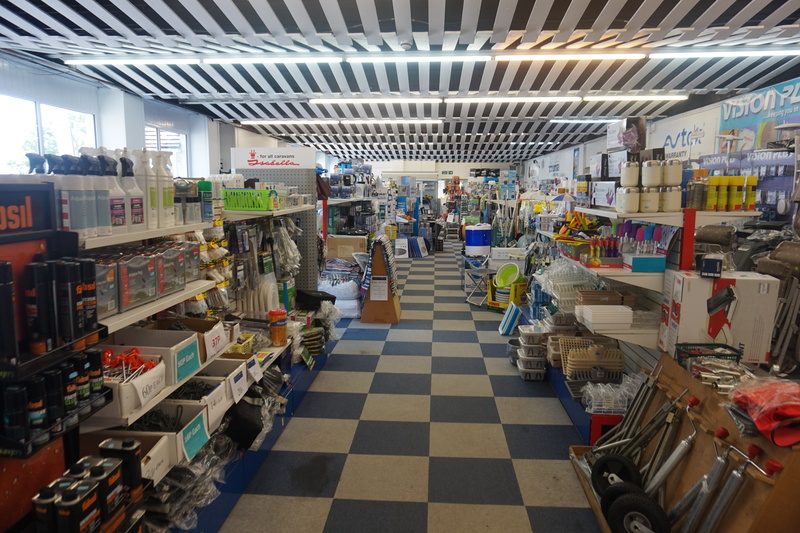 In our accessory store we stock a huge range of products from trusted brands such as Al-Ko, Avtex, Fiamma, Whale, Quest, Thetford and many more. We have hundreds of products available, so you’re bound to find what you’re after! Our staff have years of experience of touring, so you can be confident that you’re getting the best advice and information. From novices to veterans, we’ve heard it all – and there is NO such thing as a daft question. 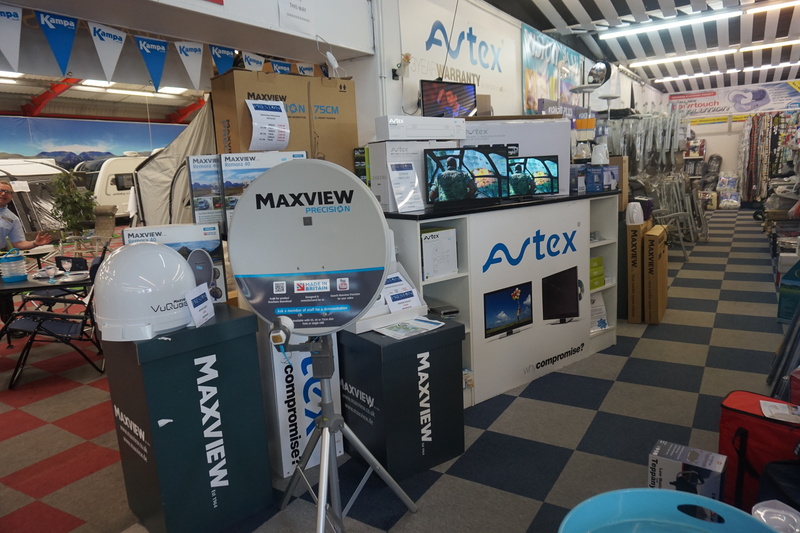 The Avtex TV range is on display in our huge motorhome and caravan accessories shop for you, so you can enjoy the clarity of picture and great features available. Avtex are designed for use on the road, including 12v circuitry, sleek design and one button tuning for perfect signal wherever you are. 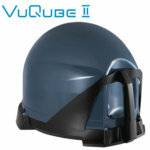 Each model comes with 3 year warranty from the manufacturer. Maxview Satellites are perfect for honing your entertainment systems while touring. 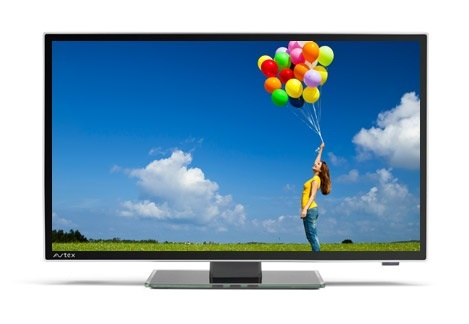 Get excellent TV and radio signal wherever you are pitched up! We have a number of Maxview Satellites on display . 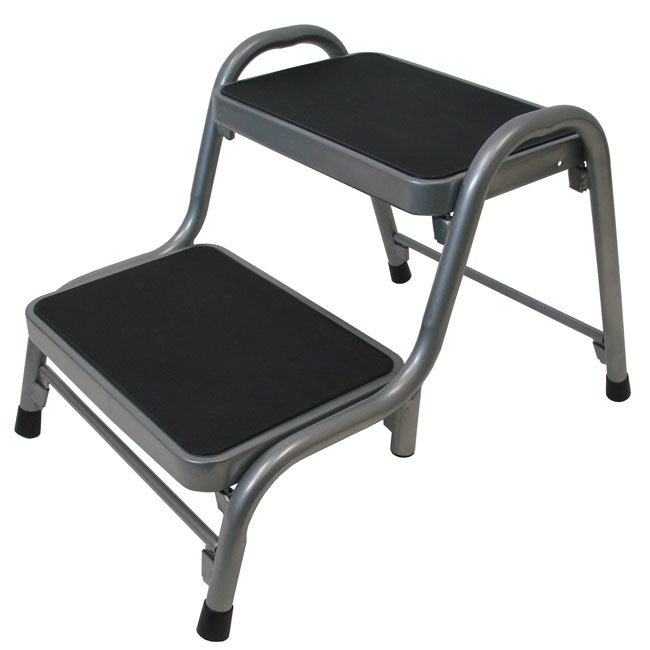 Designed and made in the UK, these come with a 2 year manufacturer guarantee. All are designed for simple set up and use, so you can spend as much time as possible enjoying them. 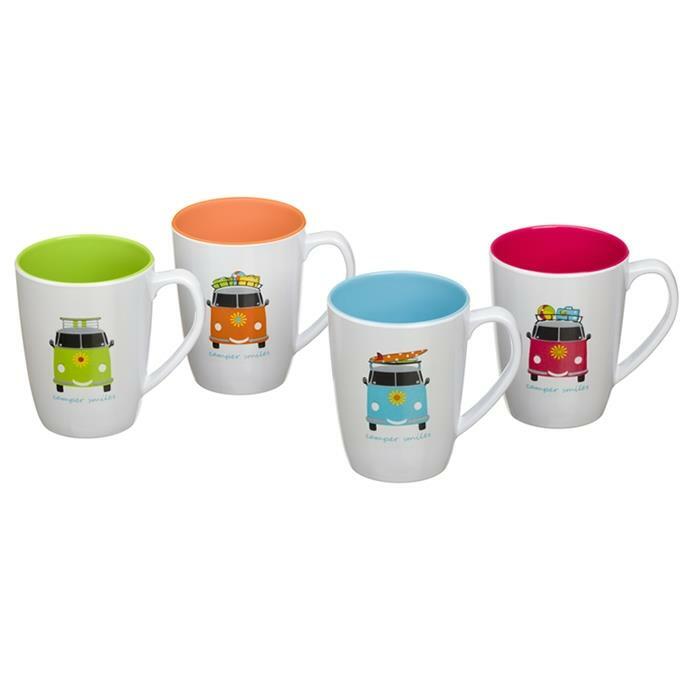 We offer a host of great quality tableware for your caravan or motorhome. Lightweight, durable, and in a host of different designs, you’ll turn heads any time you dine alfresco. On display we have tableware from brands such as Corelle, Brunner, and CamperSmiles. Whether you’re looking for non-slip plates or fun mugs for your morning cuppa, we’ve got something to suit your style. We also offer appliances designed for mobile use. Low wattage kettles, toasters and microwaves all make cooking on the go so much simpler. We stock over 10 styles of sleeping bag here at our accessories store. Keep comfy and warm with brands including Kampa, OlPro, Quest and Blue Diamond. We supply junior sizes all the way up to king size, including models that connect together to form 2 person sleeping bags (or a very spacious sleeping bag for 1!). Our sleeping bags come in a number of colours and styles, so you can choose the best fit to your caravan or motorhome’s interior design. 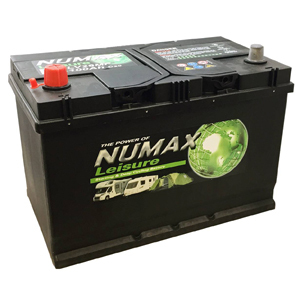 We supply and recommend Numax batteries. They are a great quality brand, and are available in 75 amp, 95 amp, 100 amp, and 120 amp. The batteries come with a manufacturer’s 2 year guarantee, though we find they last much longer with basic care and maintenance. So wherever you’re pitched up, you can rely on your leisure battery to give your caravan or motorhome the power it needs. We know the safety of your caravan or motorhome is paramount, which is why we supply tried and tested products to keep your pride and joy safe. 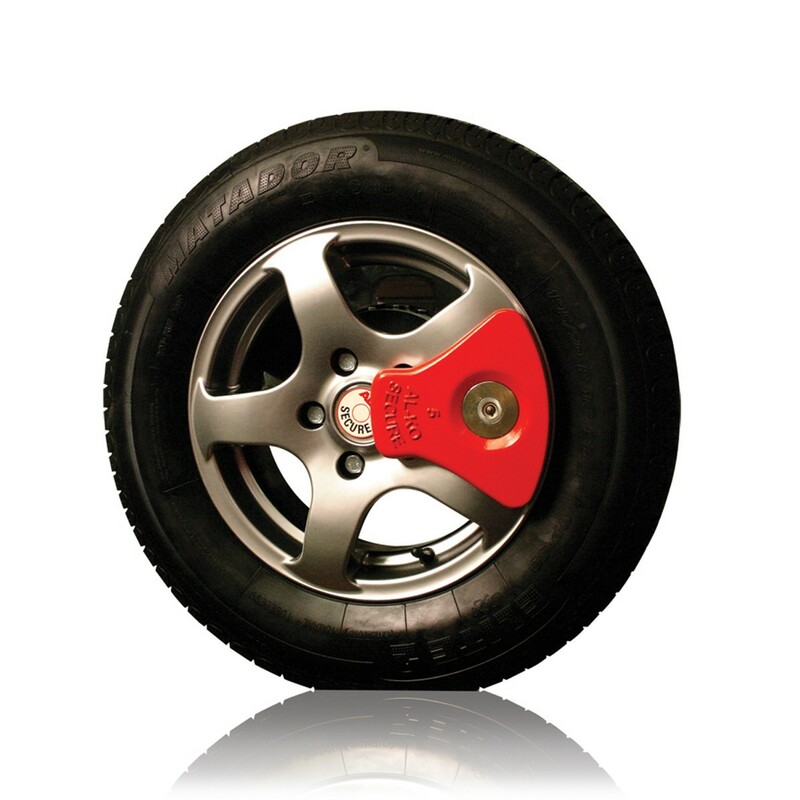 We offer Nemesis Full Stop wheel locks as well as Alko Secure and Milenco wheel locks. Our Nemesis demonstration model allows you to try it out in store, while our helpful staff will be happy to explain how to secure your wheel lock in place. Also in stock are our hitch locks from Winterhoff, Milenco and Alko. These visible thief deterrents are very good for protecting your caravan. Inside your caravan or motorhome, you may want to protect yourselves with a smoke alarm or carbon monoxide detector. Many caravans now include such alarms, but if yours doesn’t you may want to consider investing in one. However good and observant a driver you are, you should always have extended mirrors when towing your caravan. The extra vision they provide is priceless. 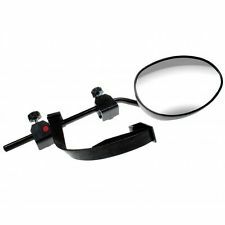 We stock a few styles of wing mirror, including Milenco mirrors.